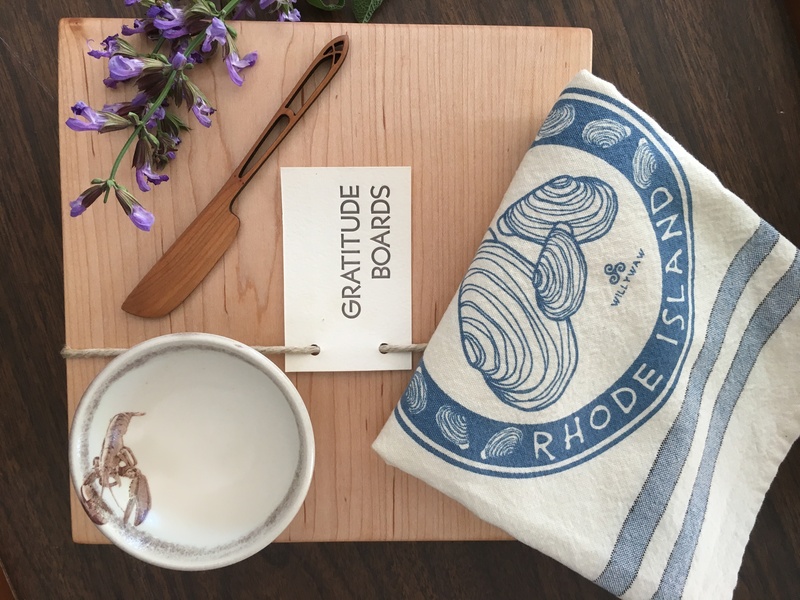 Don't miss Stock Culinary Good's Pop-Up Store in Black Pear during starting June 7th! Immerse yourself in an extravaganza of gift baskets by Stock Culinary Good's and shop for the perfect end-of-school- year teacher's gift while enjoying our hand-crafted coffees from Black Pear's certified barristas. These superb baskets serve as great ideas for cook-out parties and your bestie's birthday! Intrigued? To make it even better Black Pear is offering a free $5.00 gift card for every $20.00 gift card purchase to go along these marvelous gift baskets. Come and see for yourself, you'll be pleased you did! Ellen Brown, a columnist for The Providence Journal, is one of the most versatile and respected authors and recipe developers on the American food scene. Her popular weekly cooking column is now in its seventh year and she has written more than 40 cookbooks that have won wide critical acclaim. Brown gained the national limelight in 1982 as the founding food editor of USA Today, and is credited in the culinary field as one of the founders of the New American Cuisine movement, which was in its infancy when she designed the paper’s food coverage. In 1985, she was honored by Cook's Illustrated magazine, which selected her for inclusion in the prestigious "Who's Who of Cooking in America." Profiles of her have appeared in The Washington Post, The Detroit News, Coastal Living, The Providence Journal, and The Miami Herald. The Bloody Mary Book features 65 new and innovative recipes to surprise any party guest. What better way to own the secret to this terrific crowd-pleaser than attend Ellen Brown's book signing at Black Pear on June 15th? An event free for all! Makes the perfect gift for dad, just in time for Father's Day weekend! Pencil it down! June 15th, 5:00 pm Black Pear in collaboration with Grapes and Grains and Decadent Catering. 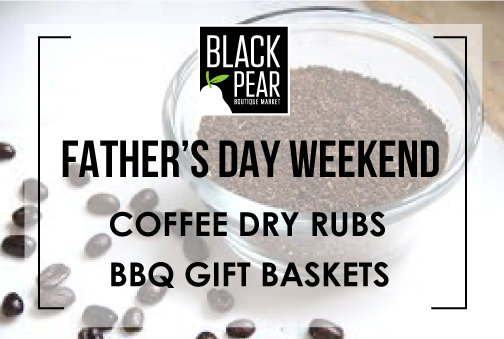 This Father's Day make a striking gift with one of Black Pear's signature coffee dry-rubs, along with our featured selection of BBQ gadgets and themed baskets! Just pop in, you'll be glad you did! Something new and exciting, a true community wine dinner! Reserve your table today and be one of the less than 40 people who will join Black Pear Culinary Team, in a 4-course community dinner served with an exclusive selection of wines from the renowned local Grapes and Grains. The genuine farm-to-fork extravagant dishes will include chilled lobster, pan seared scallops and prosciutto encrusted lamb rack along with dessert and wine. Tickets are $75.00 per person and include tax and gratuity. Please call (401) 337-5895 and reserve your table. Here at Black Pear, we highly value quality ingredients. Our fresh strawberries and other seasonal fruits are harvested in Rhode Island. We also use locally sourced ingredients for our breads baked here fresh each day. We are proud to source our ingredients locally, as much as possible, bringing you the freshest and highest quality products.